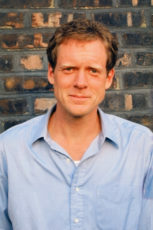 John Kolvenbach is the author of several plays, including Sister Play and Goldfish, both previously performed at the Magic. His latest, Reel to Reel, has its world premiere January 31, 2018 and deals with a 55-year marriage, what really happens inside a marriage compared to how it appears to the outside world. His previous works have been performed all over the globe, and Love Song was a nominee in London for an Olivier Award for Best New Play. He is interviewed by Richard Wolinsky.